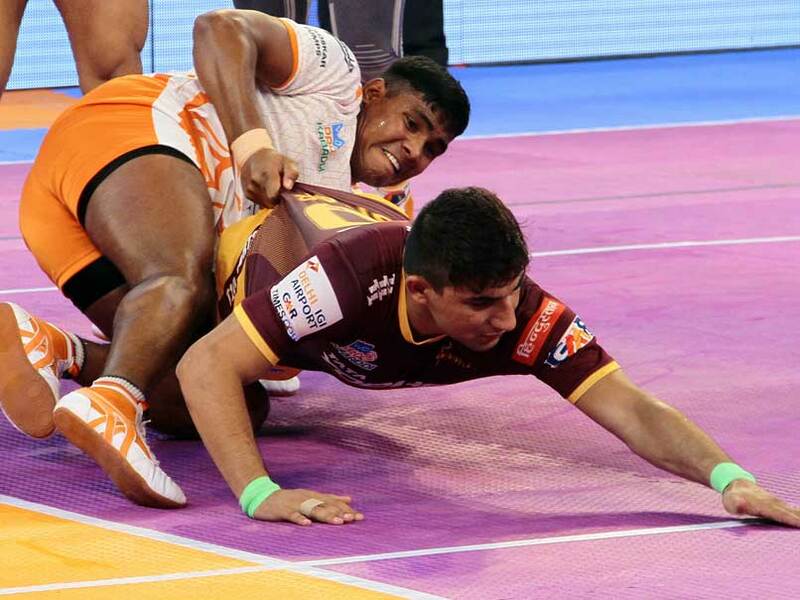 Deepak Hooda scored three super raids and ended with 16 points for Puneri Paltan. Sagar Krishna scored six tackle points for UP Yoddhaand Rishank Devadiga contributed nine tackle points. 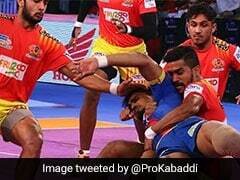 Puneri Paltan pipped UP Yoddha 34-33 in a close encounter in the Pro Kabaddi League on Saturday. UP Yoddha mounted a strong comeback in the last 10 minutes but just fell short by a point. Hooda made a super raid in the fifth minute to give PuneriPaltan 5-2 lead. Rishank Devadiga responded with a super raid as UP Yoddha leveled it at 5-5 in the seventh minute. Hooda scored with another super raid in the eighth minute to lead 9-5. Yoddhas were forced a super tackle in the 10th minute as they trailed 8-9. The next few minutes of the first half was keenly contested with both teams level at 11-11 after 15 minutes. Monu scored with a two-point raid as Paltans led 15-12 in the 18th minute. They then inflicted an all out in the next minute as they led 18-14 at the end of the first half. In the second match, Jaipur Pink Panthers edged past Tamil Thalaivas 27-24.